Ada pertanyaan untuk Seizanso Ryokan? 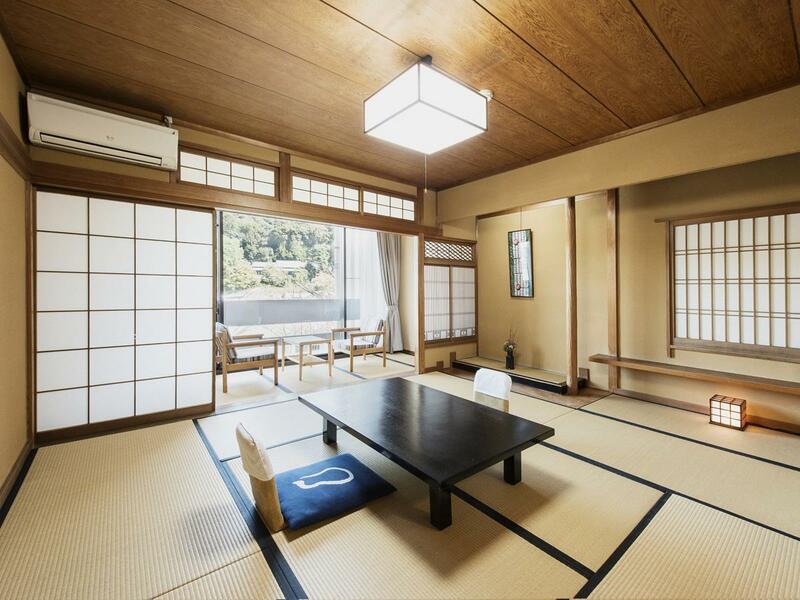 Terletak di area Kyoto Selatan yang menyenangkan, Seizanso Ryokan memiliki posisi yang sangat bagus di pusat kebudayaan, melihat-lihat di Kyoto. Terletak hanya 18km dari pusat kota, para tamu berada di tempat strategis untuk menikmati obyek wisata dan aktivitas di kota ini. Untuk pilihan lokasi jalan-jalan dan obyek wisata lokal, Anda tidak perlu pergi jauh-jauh karena hotel ini terletak dekat dengan Kuil Byodo-in, Tokura Hospital, Ujiobaku Hospital. Di Seizanso Ryokan, setiap upaya dilakukan untuk membuat tamu merasa nyaman. Dalam hal ini, hotel menyediakan pelayanan dan fasilitas yang terbaik. Ada beberapa fasilitas hotel ini seperti WiFi gratis di semua kamar, fasilitas untuk tamu dengan kebutuhan khusus, penyimpanan barang, Wi-fi di tempat umum, tempat parkir mobil. Nikmati fasilitas kamar berkualitas tinggi selama Anda menginap di sini. Beberapa kamar memiliki televisi layar datar, akses internet - WiFi, akses internet WiFi (gratis), AC, penghangat ruangan, yang disediakan untuk membantu Anda mengumpulkan tenaga kembali setelah lelah beraktivitas. Baik Anda yang menyenangi kebugaran atau hanya ingin bersantai setelah beraktivitas sepanjang hari, Anda akan dihibur dengan fasilitas rekreasi kelas atas seperti sauna, lapangan golf di area properti, lapangan golf (sekitar 3 km), memancing, pijat. Apapun tujuan kunjungan Anda, Seizanso Ryokan adalah pilihan istimewa untuk menginap di Kyoto. Perlu diketahui bahwa anak berusia 6 hingga 12 tahun akan dibebankan tarif sebesar 70% dari harga dewasa. Mohon menginformasikan pihak hotel sebelumnya apabila tamu menginap bersama anak. Perlu diketahui bahwa resepsionis dibuka hingga pukul 10:00. Harap menginformasikan sebelumnya kepada pihak hotel jika Anda berencana untuk melakukan check-in di atas pukul 22:00. Perlu diketahui bahwa setiap kamar di Seizanso Ryokan merupakan kamar bergaya Jepang. The Ryokan menawarkan matras futon bergaya Jepang untuk tempat tidur. Tamu yang memesan kamar dengan makan malam wajib melakukan check-in sebelum pukul 19.00. Apabila tidak, maka makan malam tidak dapat disajikan dan tidak ada pengembalian uang. Makan malam disajikan pada pukul 18:00, 18:30 dan 19:00. Properti tidak bisa menjamin bahwa semua kamar yang dipesan mempunyai pemandangan sungai. Anak berusia 1 hingga 5 tahun akan dikenakan biaya sebesar JPY 5400. They turn off all the hallway light of all the floor. They close the restaurant and the hot spring bath. They turn off all the heat because we are the only guest live in the building at that night. The manager or the owner told us, we are the only one room checked in of the whole building. So scare! The elevator is old and smelly. The guest room is old and cold. leaking water marks everywhere, we have the heater on all night but can not warm up the room because the heater is too old. Agoda should not recommend this place to any traveller. We are SO DISAPPOINTED. The only place that attractive is the lobby waiting area, that's why we booked this place. It was a WRONG decision. We feel shame for Japan to have such hotel operating in UJI. I check in late around 7pm. Google map helps a lot. The host is very nice and he waited for me to check in. Room is fine and clean. I go with mum. Mum can see the ghosts we can't sleep well. I cannot see ghost so it's fine to me. Need to check out at 10 next morning but this place don't help you keep luggage. I have no comment about this policy but it is harsh for us become we bought so many things in osaka. I booked a river view room and I like the view very much. You need to check in on time otherwise it would be a big waste. Facilities were old and rundown (not in a charming way). Food, for a ryokan, was not very good and breakfast is premade and laid out for you. Onsen was small and old. Overall, just seemed like a corporate style hotel with barely any amenities (didn't even have conditioner in the bathroom!). Not worth the price. Nice hotel and good d services. What a beautiful experience for our kids! Our huge tatami rooms were overlooking fully blooming cherry blossom trees over the Uji River. Loved everything about this Ryokan especially the wonderful owner Okawa-San and his staff. Thank you for a most memorable stay . Public beths is impressed and cool! Fantastic, we were blown away by the location and view from our room. Such tranquil settings and a beautifully prepared breakfast every morning. Staff were so nice and helpful. Highly recommend! Beautiful scenery, close to 平等園, hotel is located along the river. The hotel lobby is pretty good and looks very calm, but the hotel is quite old, some wall papers in rooms are teared off, air conditioning is not working well and we needed to ask for a electric fan to lower down the room temperature. We won't stay again although the staff are very polite and helpful. My stay in Seizano Ryokan is great and memorable.. I luv the hotel, ambiance and staff. The staff are friendly and accommodating to my needs. I will for sure comeback to this place. A very pleasant moment. The bedroom in japnese style was really nice and confortable. We have visited all the places by bicycle. I would advice this place to friends. Originally there were only two us staying in the room, but our plans changed and an extra person come on the trip to kyoto with us. They added an extra futon on the floor and an extra towel, but charged us about $100 U.S. dollars! It was very over priced, but the location was great. It's a quiet area. We went to phoenix hall and walked to sushi near by. Getting from kyoto and back with luggage proved to be a little daunting but possible. The ryokan is located beside e Uji river. With the sakura blooming on both side of e river the scenery is jus great!! The room is cozy and comfortable. the staffs are very polite. The stay was a good one. The staffs are very polite and even offer a ride to e nearest JR station during checkout.. Thumbs up for e great service.. 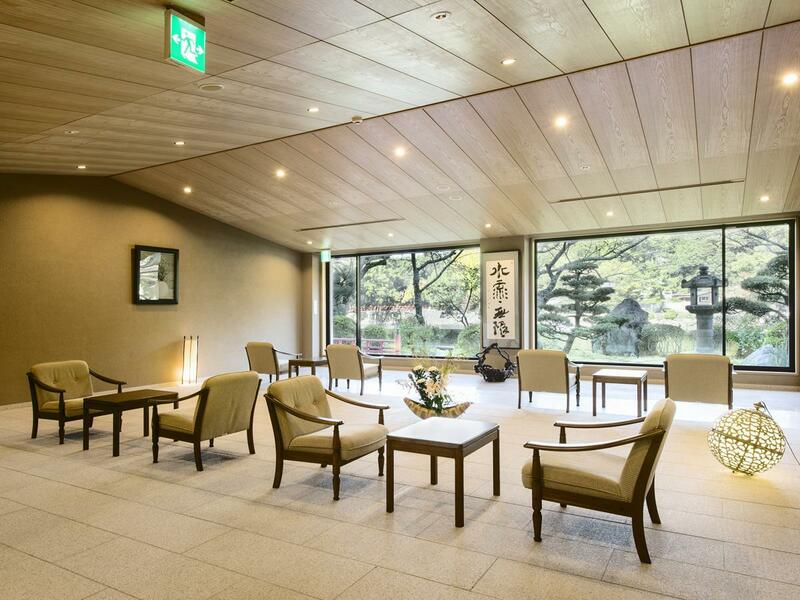 Very pleasant stay, comfortable rooms, not to far from Kyoto. Internet connection needs to be improved on the 3rd floor. Magnificent staff. We like staffs and river view as well the decoration of the lobby. But the room is not quite nice and old. We checked out early but no staff at the front so we had to ask hotel next door to call us a taxi. I stay at the hotel for three nights, very impressive service, although the staff cannot speak very well English, but he is try his best to introduce Uji, and also drive us to the JR station while we check out. The view from the room is amazing, especially in the maple leaves season. Seizanso Ryokan is more like a home then a hotel, highly appreciated.